$20.00 Ships within 24 hours. 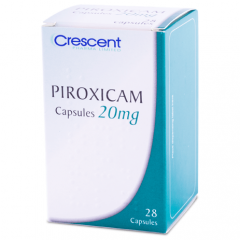 Possible Uses of Rheumatrex: This medicine is an antimetabolite used to treat psoriasis or rheumatoid arthritis. It may also be used to treat other conditions as determined by your doctor. Before using Rheumatrex: WARNING: Serious, sometimes fatal, side effects have occurred in those using methotrexate. Therefore, this medicine should be used only to treat life-threatening cancer or severe cases of psoriasis or rheumatoid arthritis. Methotrexate has caused birth defects and fetal death. It is not recommended for use in women of child-bearing age unless no alternatives exist. Pregnant women who have psoriasis or rheumatoid arthritis must not use methotrexate. If you have kidney problems or excess body water ( ascites, pleural effusion), you must be closely monitored and your dose may be adjusted or stopped. Methotrexate ( usually at high dosages) has caused severe, even fatal, bone marrow suppression ( e.g., bone marrow makes cells that fight infections) and intestinal or stomach disease ( e.g., bleeding) when used at the same time as non-steroidal anti- inflammatory drugs ( NSAIDs) ( e.g., ibuprofen, naproxen). This drug may also cause liver problems when it is used for long periods of time. If you are using methotrexate long-term, liver biopsies should be performed. Methotrexate use has resulted in serious, possibly fatal, lung problems, skin reactions, diarrhea and mouth sores ( ulcerative stomatitis). Lumps ( tumors/abnormal growths) may appear during methotrexate use. The drug must be stopped and treatment may be needed. Consult your doctor immediately if new lumps/growths occur. When used to treat tumors, methotrexate sometimes causes 'tumor lysis syndrome' due to cell destruction. Promptly report symptoms ( e.g., irregular heartbeat, muscle weakness) if they occur. If you develop any of the following side effects, contact your doctor immediately: nausea, stomach pain, yellowing eyes or skin, dark urine, fever, fatigue, persistent sore throat, easy bruising or bleeding, black stools, change in amount of urine, skin rash, breathing problems, dry cough, diarrhea, or mouth sores. Some medicines or medical conditions may interact with this medicine. INFORM YOUR DOCTOR OR PHARMACIST of all prescription and over-the-counter medicine that you are taking. ADDITIONAL MONITORING OF YOUR DOSE OR CONDITION may be needed if you are taking corticosteroids, digoxin, etretinate, nonsteroidal anti-inflammatory drugs ( NSAIDs), probenecid, penicillin and sulfa antibiotics, trimethoprim, warfarin, or medicine for seizures. Inform your doctor of any other medical conditions, allergies, pregnancy, or breast-feeding. USE OF THIS MEDICINE IS NOT RECOMMENDED if you have a history of immune system disorders. Contact your doctor or pharmacist if you have any questions or concerns about taking this medicine. How to take Rheumatrex: Follow the directions for using this medicine provided by your doctor. Ask your doctor, nurse, or pharmacist any questions you have about this medicine. IF NAUSEA, VOMITING, OR LOSS OF APPETITE OCCUR, ask your doctor, nurse, or pharmacist for ways to lessen these effects. Precautions When Using Rheumatrex: KEEP ALL DOCTOR AND LABORATORY APPOINTMENTS while you are using this medicine. THIS MEDICINE MAY CAUSE increased sensitivity to the sun. Avoid exposure to the sun, sunlamps, or tanning booths until you know how you react to this medicine. Use a sunscreen or protective clothing if you must be outside for a prolonged period. THIS MEDICINE MAY REDUCE THE NUMBER OF BLOOD CELLS WHICH ARE NEEDED FOR CLOTTING. To prevent bleeding, avoid situations where bruising or injury may occur. THIS MEDICINE MAY LOWER YOUR RESISTANCE to infection. To prevent infection, avoid contact with people who have colds or other infections. Do not touch your eyes or the inside of your nose unless you have thoroughly washed your hands first. DO NOT DRINK ALCOHOL while you are taking this medicine. BEFORE YOU BEGIN TAKING ANY NEW MEDICINE, either prescription or over-the-counter, check with your doctor or pharmacist. This includes any medicines that contain ibuprofen, naproxen, aspirin, salicylates, or any other medicine used to treat pain, fever, swelling, or arthritis. FOR BOTH MEN AND WOMEN, use an effective form of birth control during therapy and for up to 3 months after this medicine is stopped. DO NOT USE THIS MEDICINE if you are pregnant. IF YOU SUSPECT THAT YOU COULD BE PREGNANT, contact your doctor immediately. THIS MEDICINE IS EXCRETED IN BREAST MILK. DO NOT BREAST-FEED while taking this medicine. Side Effects of Rheumatrex: SIDE EFFECTS, that may go away during treatment, include nausea, loss of appetite, skin rash, or dizziness. If they continue or are bothersome, check with your doctor. CHECK WITH YOUR DOCTOR AS SOON AS POSSIBLE if you experience diarrhea; vomiting; abdominal pain; black tarry stools; unusual bruising or bleeding; sores on the mouth or lips; unusual tiredness or weakness; yellowing of the skin or eyes; darkened or bloody urine; joint pain; swelling of the feet or legs; fever or chills; dry cough; cough with congestion; shortness of breath or other breathing problems; or sore throat. If you notice other effects not listed above, contact your doctor, nurse, or pharmacist. Drug Interactions of Rheumatrex: Drug interactions can result in unwanted side effects or prevent a medicine from doing its job.Inform your doctor about all the medicines you take with and without a prescription. Storage of Rheumatrex: Store at room temperature away from sunlight and moisture. Keep this and all medications out of the reach of children. Other Information of Rheumatrex: DO NOT SHARE THIS MEDICINE with others for whom it was not prescribed. DO NOT USE THIS MEDICINE for other health conditions. KEEP THIS PRODUCT out of the reach of children. IF USING THIS MEDICINE FOR AN EXTENDED PERIOD OF TIME, obtain refills before your supply runs out.